Created by star picture-book pairing Axel Scheffler and Julia Donaldson the Gruffalo's Child returns with her very own song to introduce a truly monster musical session! As well as being the UK's most successful picture book author and the 2011-2013 Children's Laureate, Julia Donaldson is a gifted songwriter for children. 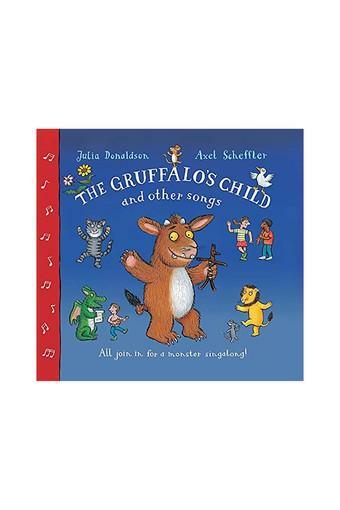 The Gruffalo's Child Song and Other Songs contains nine of her best-loved songs, including The Gruffalo's Child, Nut Tree and The World Inside a Book, as well as a number of other fun-filled action songs, all of which have been wonderfully illustrated by Axel Scheffler. Each score includes piano accompaniment and guitar chords. This pack also includes a CD. The songs will be familiar to anyone who has heard them on TV or radio, or enjoyed one of Julia's live performances.